But while the supermajors are struggling with soaring project costs and poor balance sheets, innovative juniors and start-ups are increasingly swooping in to take advantage of new highly prospective plays--and as long as they don’t come up dry they are turning into superstars overnight. So while there is some safety in the diversification of the major oil companies, it's also harder for investors to get big returns on a hot new play like Ghana. As such, investors are increasingly willing to risk on juniors and start-ups who are focused on a single hotspot that promises a big reward. If these low-market-cap companies can actually get their hands on significant acreage in venues like Ghana, investors seem ready to take notice. 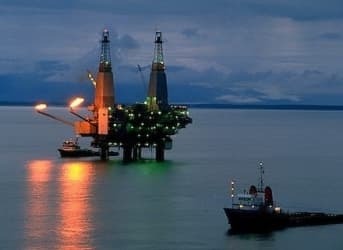 In the meantime, the bigger companies continue to make significant headway in with Ghana’s oil, despite a few setbacks, including delays to the country’s gas infrastructure, which means that associated gas is being lost to flaring or has to be re-injected into wells.